Is REGAINE® for Women Foam right for me? REGAINE® Extra Strength Solution is clinically proven to regrow hair in men with hereditary hair loss and reverse its progression. It also contains a 5% concentration of the active ingredient minoxidil. Extra Strength Solution is licensed for hereditary hair loss in men aged 18 to 65. 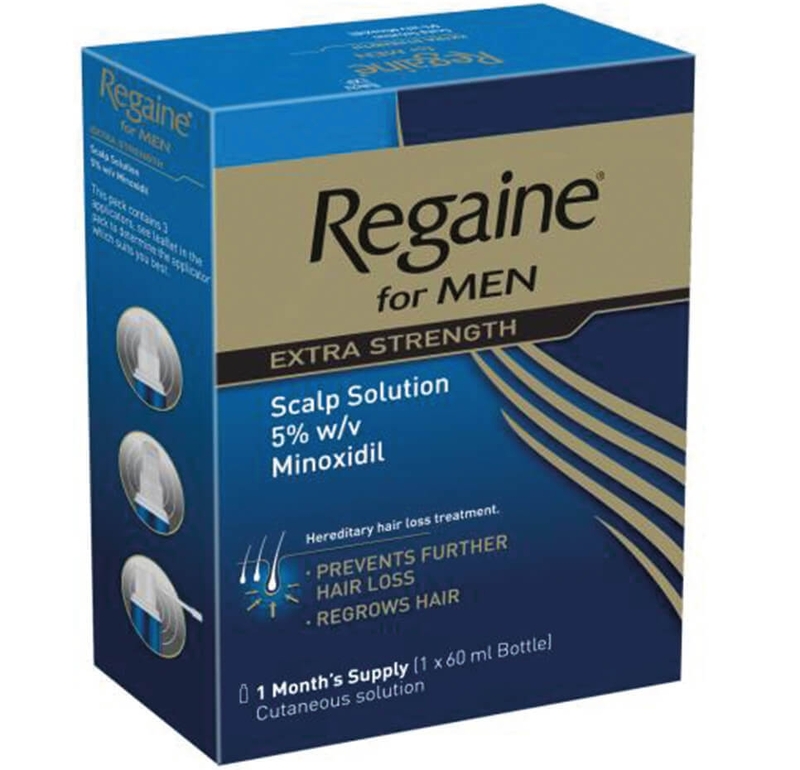 REGAINE® for Men Regular Strength 2% Solution and REGAINE® for Men Regular Strength 2% Gel have now been discontinued. You can still use them until they run out, and the 5% Extra Strength Foam or Solution are alternatives. REGAINE products and treatments are for hereditary hair loss. REGAINE for Men Extra Strength Scalp Foam 5% w/w Cutaneous foam, REGAINE for Women Once a Day Scalp Foam 5% w/w Cutaneous Foam, REGAINE for Men Extra Strength Scalp Solution 5% w/v Cutaneous Solution, REGAINE for Women Regular Strength contain Minoxidil. Always read the label.